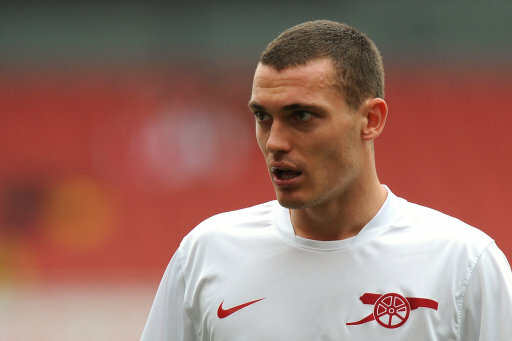 Arsenal defender Thomas Vermaelen has wedged his Flemish size-9s firmly in his stroopwafel-hole by talking of the love that dare not speak it’s name at the Emirates i.e. the immortal bond which exists between captain Cesc Fabregas and his boyhood club Barcelona. It is too late young Padawan, the sacred vow is broken. On a lighter note, it seems like Arsenal fans have still got about a year to say their goodbyes to Cesc. They should have sold Fabregas and buy another good player: I thought Van der Vaart should have been good for 4-2-3-1…. This can be a bad season for Arsenal with a captain no committed. @dennis: Yeah I know. Sadly I don’t know the names of any specific Belgian cakes so that’s the closest I could get. I had stroopwafels in Belgium once (and very nice they were too), so I thought they’d do! Of course this is not a very smart thing to do from Vermaelen, no question now that Fab wil be gone by the beginning of next season. I was really worried this last summer with all the talk of Cesc moving to Barca, and while I’m glad he didn’t move awat from Arsenal, I’m really surprised that talks are still going on about this. Barcelona just bought Mascherano, which would be another player (probably) playing ahead of him. Also, I heard(I believe on this website)Barcelona are in terrible debt. If Barca were going to buy Cesc, this passed summer would have been the time. But I’ll give it at least 2-3 years til he moves there, depending on Barcelona’s financial situation then.